Douglas O. Linder and Nancy Levit have compiled a handbook outlining what it takes to be a good lawyer. Drawing upon recent social science research and the experience of excellent practicing attorneys, Linder and Levit suggest that good lawyers must develop their practice beyond simply having the intellectual ability to understand the law. In The Good Lawyer: Seeking Quality in the Practice of Law, they outline crucial qualities to lawyering, including “courage, empathy, integrity, diligence, realism, a strong sense of justice, clarity of purpose, and an ability to transcend emotionalism.” These are skills that many lawyers may leave law school without. The very best lawyers, including those who fill the pages of our history books and those who quietly but effectively serve their clients every day, built their practices on much more than intellectual superiority and mastery of the law. Douglas O. Linder and Nancy Levit thoughtfully explore key characteristics that good lawyers share and, in the process, remind us why we became lawyers in the first place—and why that matters now more than ever. The Good Lawyer is a must-read for law students and prospective law students, new lawyers, and seasoned professionals. 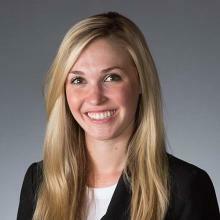 Katherine Kirk is a third-year law student at the University of Denver Sturm College of Law and contributes to IAALS Online. Please direct inquiries about this post to iaals@du.edu.